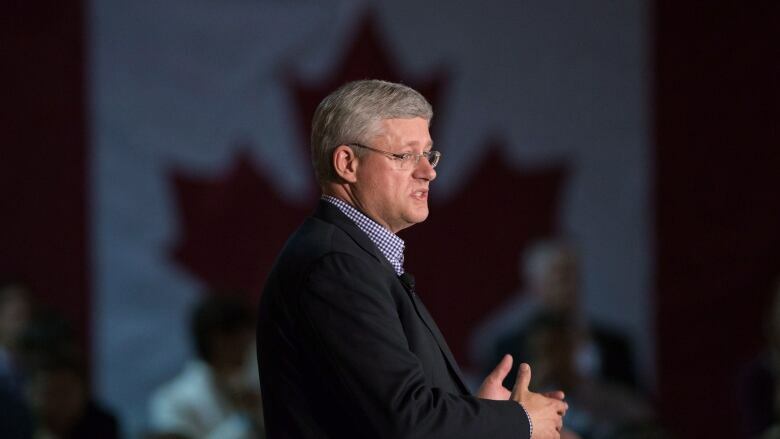 Election 2015: Will Harper spring forward or fall back on fixed date? In exchange for a $25 donation, the Conservative party recently offered its supporters a Stephen Harper calendar 'to help count down to election day.' But will they be counting down to Oct. 19, 2015, or some Monday in the spring? In exchange for a $25 donation, the Conservative party recently offered its supporters a Stephen Harper calendar "to help count down to election day." But will they be counting down to Oct. 19, 2015, or some Monday in the spring? When the prime minister will drop the writ is what passes as water-cooler talk around Parliament Hill and across government — even some Conservatives are wondering whether Harper will abide by the date he himself brought in to law. Tuesday's news that the trial of former Conservative Sen. Mike Duffy will unfold in April and June sent the guessing machine back into overdrive. Would Harper want to pull the plug early to avoid the potential damage from the proceedings? The Prime Minister's Office says no. "The timing of the election will not change," spokesman Jason MacDonald said Tuesday in an email. Still, there are plenty of precedents in Canadian history for calling early elections, with mixed results for the government in power. Wilfrid Laurier called an early vote in 1911 on the issue of freer trade with the United States, and wound up losing to Robert Borden's Tories. Harper himself called an early election in 2008 arguing Parliament had become too dysfunctional and wasn't allowing the government to fulfil its agenda. The Tories came back with more seats. Despite the supposedly fixed date, the Canada Elections Act does not prevent the prime minister from asking the Governor General to dissolve Parliament early, as he did six years ago. The opposition calls for an early election or dares the prime minister to drop the writ, giving Harper an out. Newly elected Canadian Alliance leader Stockwell Day did that to Jean Chretien in 2000, and Chretien obliged. The Liberals won another majority. "(Trudeau)'s in an established party, he's been around longer as leader, so I don't think that gambit would pay off," Day said Tuesday. "I think the prime minister would be correct in thinking that the solid economic record should carry the day, with a majority of voters." The Conservatives announce a massive budget surplus and a new plan for how to spend it that has not appeared in previous platforms. Harper could then argue that he needs a fresh mandate to move forward with the plan. World events cause the government to consider a controversial military mission. Harper decides he needs to put the question to the public in a federal election as soon as possible. The Conservatives bank on the media and public interest in the Duffy trial petering out over the summer of 2015, and stick with the fixed election date. The Conservatives stick with the October date, gambling that Liberal Leader Justin Trudeau's popularity will fade between now and then — with the help of attack ads and relentless Tory attacks on Trudeau's record. "The analysis that any prime minister will do is, 'Do I have a better chance of winning in April than in May or June or October, and what are the downsides if I break the spirit of my own law, is that going to be held against me?"' said Eddie Goldenberg, Chretien's former chief of staff. "I think it probably would be, because he's got a majority."